Sending thanks to Jane for completely reinvigorating this collection, which has been slowly accumulating feelings of dread and apathy in me whenever I pick up an instalment. Cleverly, Austen uses an epistolary format in portraying her plot. This works wonderfully, as we hear of the characters’ opinions of one another, and yet see them behave in a different manner towards each other. This is only a small part of Austen’s wit here; her observations and commentary are hilarious, and make fun of the social customs of her time. It’s amazing to see characteristics and behaviours in Austen’s time which have remained in people over the course of time. 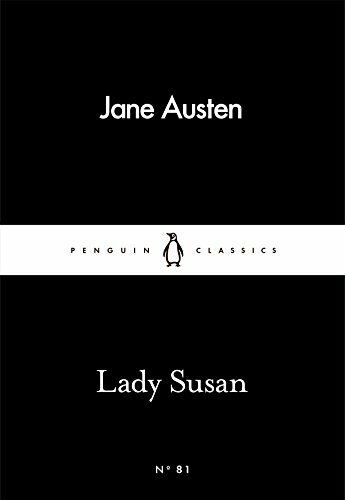 Take Lady Susan herself as an example; a selfish and absorbed woman whose only pleasure in life comes from making others miserable in order to achieve her own ends. Luring husbands away from wives, seducing young men for laughs, only to throw their hearts on the floor, attempting to marry her daughter off to a man she hates, simply because it’s a sensible match. An awful lady; I loved her dearly. Despite Lady Susan being cast as a villainous flirt, there is much to be said about her place in society at that time. A widow with meagre means and limited family wouldn’t have been held in the kind of regard Lady Susan wanted for herself. To aspire to marry money, and for her daughter to do the same, would re-establish her in the eyes of her peers, and set her up for the rest of her life. If flirting with every moneybags she came into contact with was her way of doing this, I say you go girl. I daresay there was a lot of this behaviour kept secret in those days. I haven’t read an Austen novel I disliked, and I completely adored this one too. Although I’d have gotten around to it eventually, I’m glad its appeared in the Little Black Classics range - it’s made me feel more energised in getting through these little black books of hell. A rose amongst thorns, indeed. Enter Mia Warren - an enigmatic artist and single mother- who arrives in this idyllic bubble with her teenage daughter Pearl, and rents a house from the Richardsons. 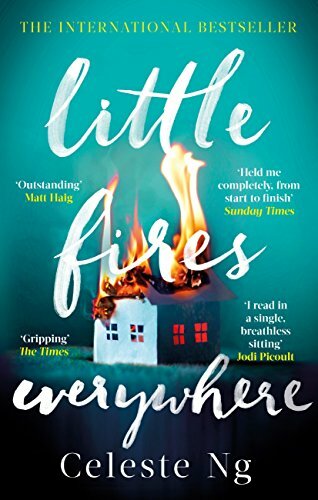 This novel begins perfectly; literally, with little fires everywhere. We begin at the end, and are transported back to learn how we got there through the smallest of character reasonings, and the largest of past mistakes. Ng presents us with more of a character study than a novel. Shaker Heights is a town of order, of meticulous planning, of perfection. From the colours of the houses to the bin collections, everything follows its rules to ensure Shaker is the best version of itself it can be. The wealthy Richardson family embody everything the town aspires to, following their own strict rules set down by their proud matriarch; how they are seen to be is everything. Juxtaposed to the Richarsons are Mia and Pearl, a nomadic mother and daughter team who arrive in Shaker and rent a home from this perfect family. Soon, the contrast in their family lives and behaviours becomes apparent, and Ng provides subtle yet impacting commentary on all of their choices. A slow going, yet addictive read, much more emotional than driven. Ng’s skill here has meant I miss the characters; I crave more understanding, I want to know what happens next. But the beauty of her real narrative says it all – people move in and out of our lives, and we can’t hold on to them. Plus, we all have little fires to extinguish elsewhere. 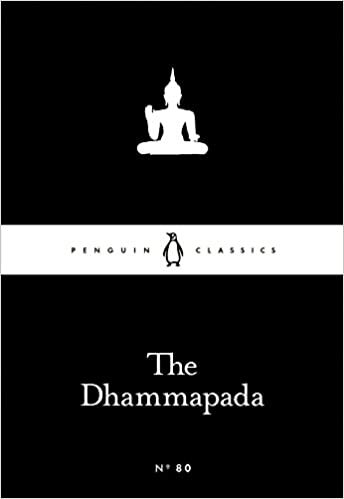 This is a beautiful collection of Buddhist aphorisms on how best to live your life, focusing on love, knowledge, exuding goodness. They’re pure, simplistically positive, and utterly inspiring. Until, of course, you realise that a) you’re actually a horrible person, and b) some of these moral suggestions are a lot more easier to attain than others. I particularly struggled with the urging to keep our minds pure and think positive thoughts. My brain is a wild storm at the best of times, so taming that beast is quite a feat. Nonetheless, it’s a gorgeous introduction to the religion, and really exudes a purity I feel is missing from other religious texts (naming no names, of course). Despite probably never reaching nirvana, it’s encouraged me to act with a bit more thought than I have been doing. Hate is not conquered by hate: hate is conquered by love. This is a law eternal. BOY Novak turns twenty and decides to try for a brand-new life. Flax Hill, Massachusetts, isn’t exactly a welcoming town, but it does have the virtue of being the last stop on the bus route she took from New York. Flax Hill is also the hometown of Arturo Whitman –- craftsman, widower, and father of Snow. SNOW is mild-mannered, radiant and deeply cherished –- exactly the sort of little girl Boy never was, and Boy is utterly beguiled by her. If Snow displays a certain inscrutability at times, that’s simply a characteristic she shares with her father, harmless until Boy gives birth to Snow’s sister, Bird. 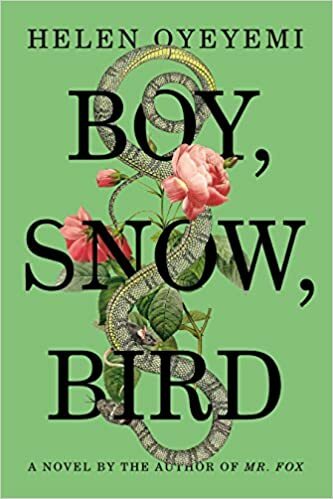 When BIRD is born Boy is forced to re-evaluate the image Arturo’s family have presented to her, and Boy, Snow and Bird are broken apart. I could have read this book forever. Oyeyemi weaves a grim tale detailing child abuse, survival, race, and family. It’s a stunning commentary on relationships, the 1950s, and a culture we are striving to outgrow. Yet, despite the heaps of realism, Oyeyemi adds strands of the magical, creating a sometimes beautiful sometimes unsettling tone, and invoking awe. Although the characters weren’t exactly well-rounded, this added a certain hint of the mystical to them. At one moment, they’d be as real as you or I, traversing similar life problems and desperately trying to scrabble their way out. The next moment they’d become almost fairy tale; unfathomable and seemingly on a higher spiritual plane. It’s wonderfully jarring. Oyeyemi’s prose was lyrical enough to lend itself to the magical tone. I’m not a highlighter, but some passages and sentences were just too profound not to keep for future reference. My one issue with this book involves spoilers, so I won’t go into too much detail. Oyeyemi’s first plot twist focuses on one oppressed group, the second on another, in the novel’s final pages. The first plot twist was excellent in its exploration of character, reasoning, and social expectations. The second I found to be distasteful, incorrect in its assertions, and to be frank, harmful. With this happening at the end, I’ve come away feeling that such a wonderful book has been marred for me. I’ve spent the last week completely in love with this novel; I’m missing the characters, and desperate to know what else could possibly be happening. If you can get past the confusing, ill-fitting, and barbaric ending (you won’t know until you get there), I promise it’s wonderful up until that point. Missing, presumed dead, for three years, Sherlock Holmes returns triumphantly to his dear companion Dr Watson. And not before time! London has never been in more need of his extraordinary services: a murderous individual with an air gun stalks the city. Among thirteen further brilliant tales of mystery, detection and deduction, Sherlock Holmes investigates the problem of the Norwood Builder, deciphers the message of the Dancing Men, and cracks the case of the Six Napoleons. This collection of short mysteries takes place three years after Holmes’ catastrophic and monumental ‘death’. It’s fascinating to read of the public’s reaction to this at the time, which no doubt led to Doyle’s resurrection of the great detective. Despite my gratitude at his death being nothing but a clever ruse (what else could it be?) 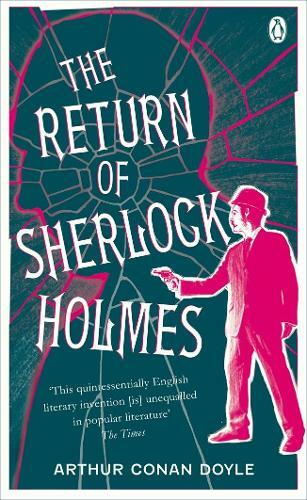 these short stories left me longing for another full length adventure with Holmes and Watson. There’s definitely a formula being followed here, and although it’s noticeable, it isn’t particularly tiresome. Each case brings its own suspicious characters, inconsequential clues, and mind-blowing solutions. There’s a clever way of weaving which makes part of the outcome easy to predict, and yet the final deduction is something our own minds can never parallel. It really is no wonder these stories can stand the test of time, and I’ll never cease to be amazed at how impressive they still are all these years later. Although not the best of the collection – perhaps Doyle lost a bit of his mojo after only bringing Holmes back on the basis of demand – it still holds everything we already know and love about this pair. As stated above, I am more than ready for a longer mystery, and my next foray with Holmes will be in The Valley of Fear.